We have over 30-years experience in the Water, Wastewater and Environment Sectors delivering Remote Monitoring, Real-Time Data and Remote-Control. When it comes to the Internet of Things (IoT) our Directors were at the forefront in the late 90’s, pioneering and deploying systems before the phrase was even invented. The systems they produced then and now, all follow the same key fundamentals – you get what you pay for! Operating in the UK on exclusive Ofcom licenced spectrum RDN is able to deliver a protected high grade telemetry/IoT service which not only provides IoT, but also works with legacy telemetry, SCADA, BMS and Outstations, plus also provides local autonomous real-time control. Some of the 250-million plus messages delivered per annum help to reduce pollution, monitor the state of assets, deliver river levels, flood reports, sewer blockages, report network pressures, monitor sumps at substations, provide EDM for sewer overflows, borehole levels and much more across 5-countries and a string of islands. Our Mission Critical Telemetry/ IoT Gateways permit single, dual and triple redundant systems to be constructed with simple logic on/off, start/stop, run/inhibit interfaces that permits data to be directly ported into existing SCADA, BMS, telemetry without touching the Internet. In the UK we operate 2 private data networks offering, exclusive, cyber secure and legally Ofcom protected data retrieval without the fear of interference from other users. 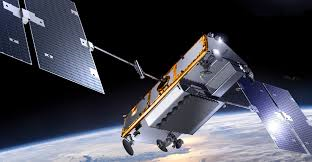 In 2017 we extended this capability to include satellite communications after becoming partners, that is an official VAR and VAM for the Iridium Satellite network. Iridium ticks all the boxes for the creation of critical networks as it has universal global coverage and with the recent replacement of their network offers stability into the next decade, something the cellular operators are unable with their rush for 4G and 5G at the sacrifice of existing data services.